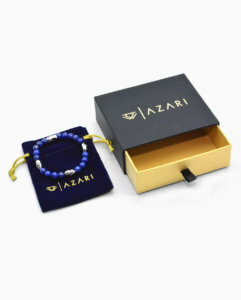 The Premium Blue Lapis Gemstone bead bracelet by Azari embodies your own personal convictions and unwavering ideals. 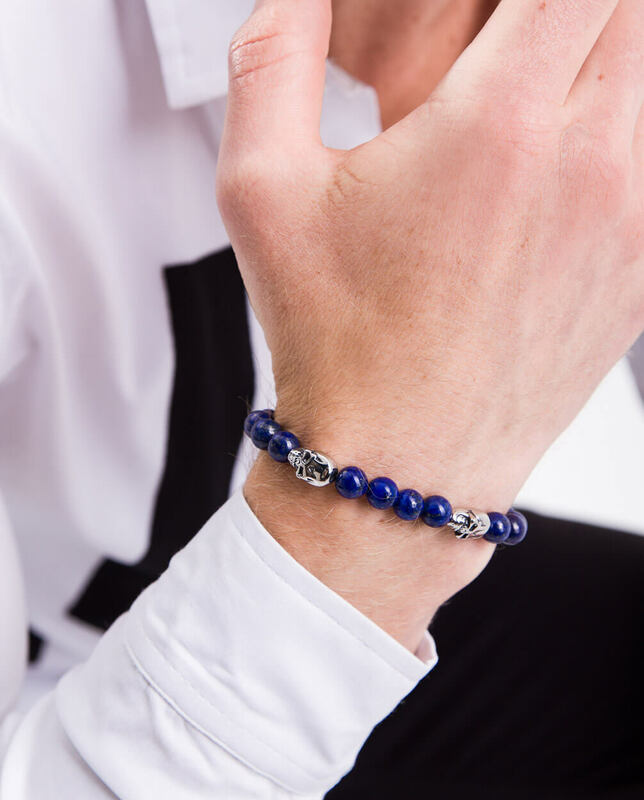 Meticulously handmade from grade A natural blue lapis gemstone beads and stainless steel skull charms, the men’s blue bead bracelet is an absolute essential piece to add to match your relaxed styles. 3 * 10mm Stainless Steel Skull Heads – to elevate the Azari bead wristband bracelet and accentuate the exclusive look. The blue lapis gemstone is believed to encourage clear, truthful expression when sharing information with others by its wearer. Click Here to read more about the blue lapis gemstone meaning and benefits. The heavy unique solid stainless steel skulls accentuates the Azari bead charm bracelet giving it its exclusive look. The high-resiliency elastic silicone cording joining the blue lapis gemstone beads is stretch and abrasion resistant ensuring that you get the most comfort from the bracelet which sits seamlessly in your arm. 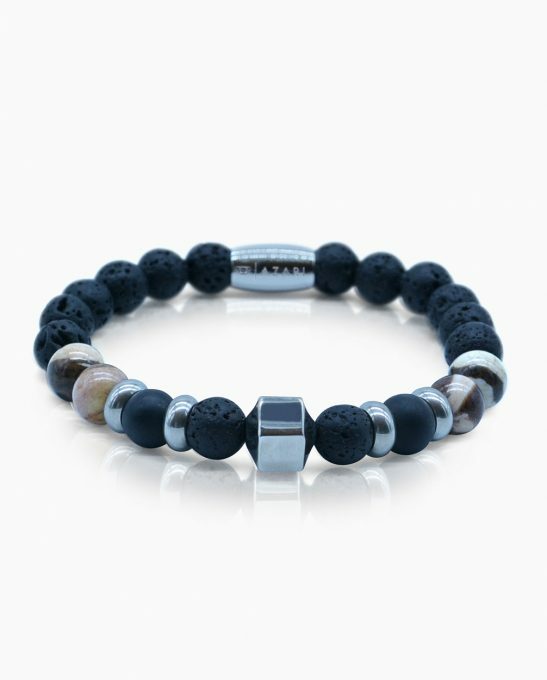 100% handmade – Superior craftsmanship employed in making the stone bracelet ensuring that every element is made to perfection for greater durability and exclusivity. This mens beaded charm bracelet with blue lapis gemstone beads is so versatile that it brings out any outfit you can throw on it. It is an absolute essential for your wardrobe as you can switch it from formal to casual outfits. 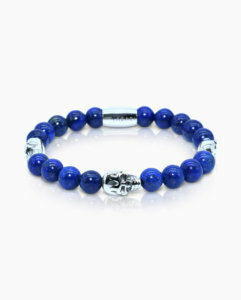 Lapis Lazuli is believed to help foster full verbal expression. Lapis encourages clear, truthful expression when sharing information with others, including an easier voicing/communication of anger. In some cultures it is believed to be deeply peaceful and shields negative energy. Lapis Lazuli will enhance dream work and spiritual journeying.